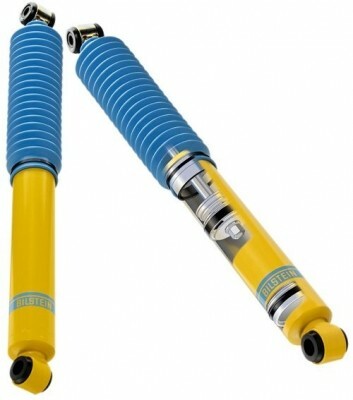 The Bilstein 4600 Series Shock is an instant upgrade in suspension performance and handling for your truck or SUV. The 4600 Series provides incredible increases in handling, control, performance, plus comfort that is unrivaled by OEM shocks. Increased performance, even when hauling or towing heavy loads. For the best result use these shocks on any 8-lug Chevy/HD at complete factory ride height. NO "Keys" or "Cranking" the torsion bars. If used in a Keyed or Cranked application these shocks will exceed travel and cause damage to shock or shock mount bushings. This shock is the "YELLOW" color shock with blue boot.